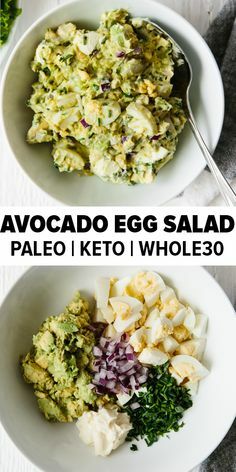 This avocado egg salad is a delicious spin on the traditional egg salad recipe and perfect for spring or summer. Watch the video above to see how quickly it comes together. Add all of the ingredients to a mixing bowl and stir to combine.